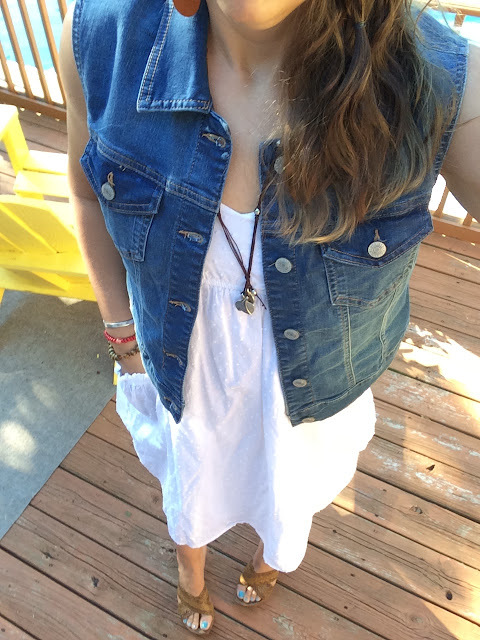 It has been a while since I shared a roundup of some of my favorite Instagram outfits. If you do not follow me on IG or you missed out on some of my daily posts, here are my 5 favorite looks from the last month. 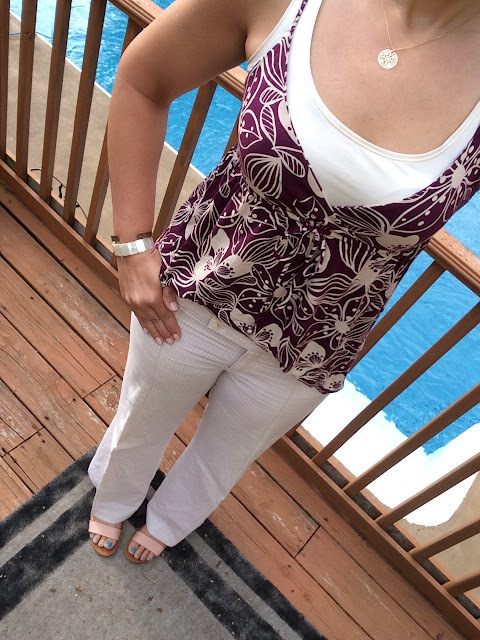 I had never thought to put these two pieces together before but I love how the floral print looked with the striped linen pants and blush sandals. Add a cardi or linen blazer to make this look appropriate for the office. 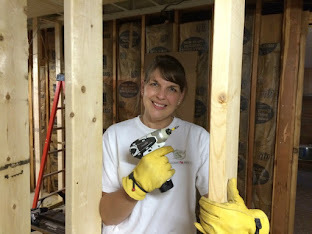 I totally stole this look from Jennie at A Pocketful of Polkadots, when I saw it on her blog! 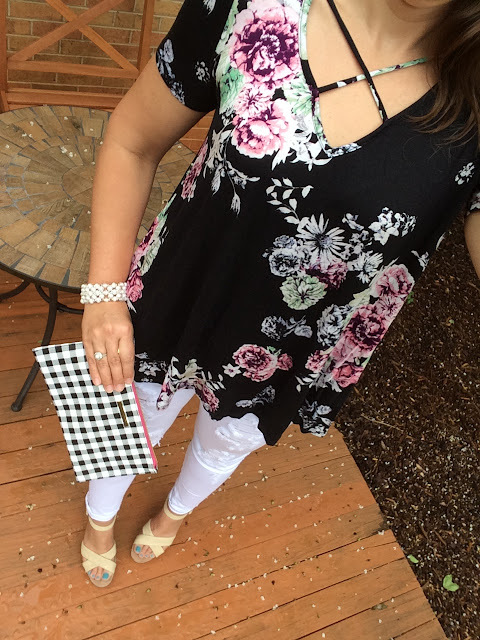 I love the dark floral print with white distressed jeans. Add wedges and a cute clutch for the perfect date night look! This outfit takes me back to the 90's! Denim vests are back in and pairs perfectly with a white sundress and sandals. 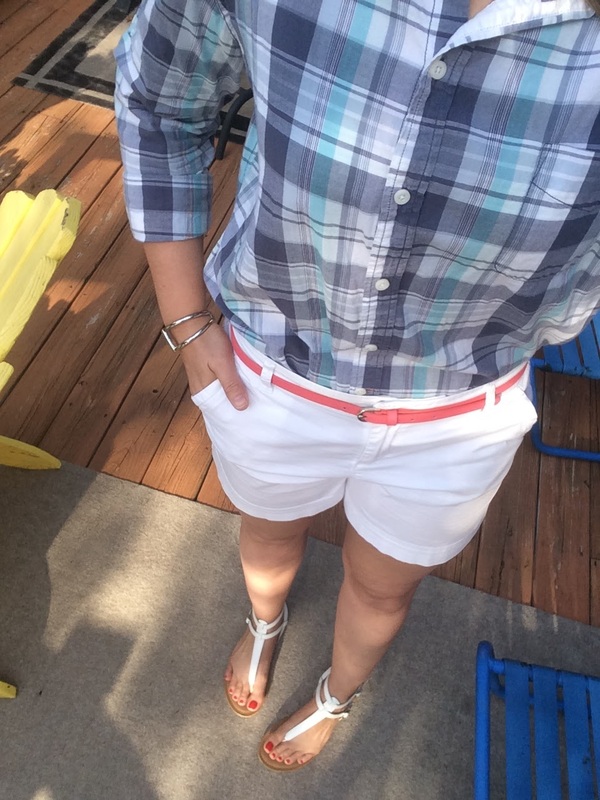 This preppy look is not my usual style, but the plaid button up, white shorts, and flat sandals is the perfect look for a picnic at the park or a backyard BBQ. Shorts: New York & Co. 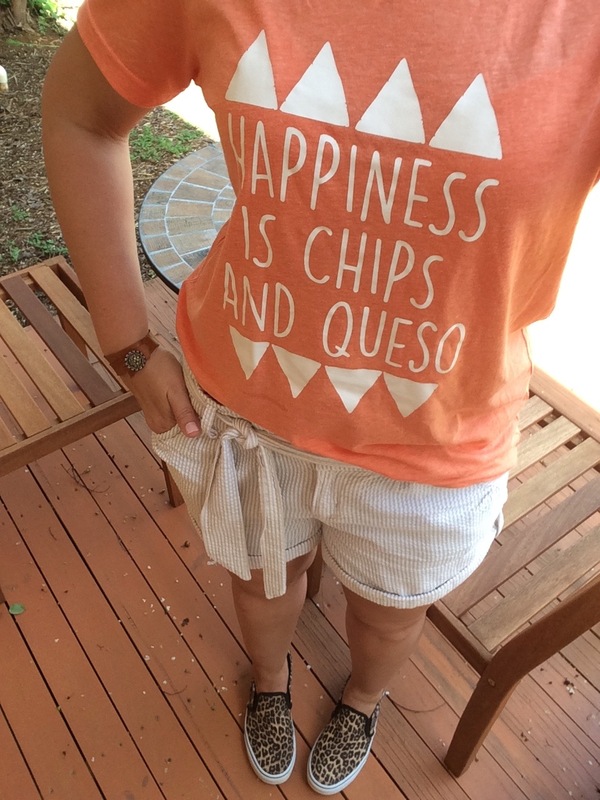 This tee is one of my favorites this summer and it looks great paired with striped seersucker shorts and leopard Vans. As you can see, my style is all over the place! Which look is your favorite? Make sure you are following me on Instagram at mary_hunn for daily outfit inspiration! I love your chips and queso shirt :) But, I just love that dark floral top with the white pants! So pretty! Thanks Carrie! That tee is my fave too! I love your photos, seriously you always look amazing, and I'm not just saying that. I love the floral top with white pants - picture #2. I wish you could come to my house and style me for a week, because I'm so lost when it comes to my body - trying to adjust to "after baby 2." Awww you are too kind, Ash! I would totally style you if we lived close! That would be fun...I do something similar. I participate in several style challenges on IG and try to fit as m any of them in as possible! Plus I would totally wear a leopard skirt and green tank LOL!